It won’t be a quiet 75th birthday for South Africa’s president. Jacob Zuma. Thousands are expected to take to the streets on Wednesday in support of a no-confidence vote the embattled leader, which will be debated in parliamentary on April 18. To oust Mr Zuma, the opposition will need to secure votes from a majority of the 400-seat National Assembly. 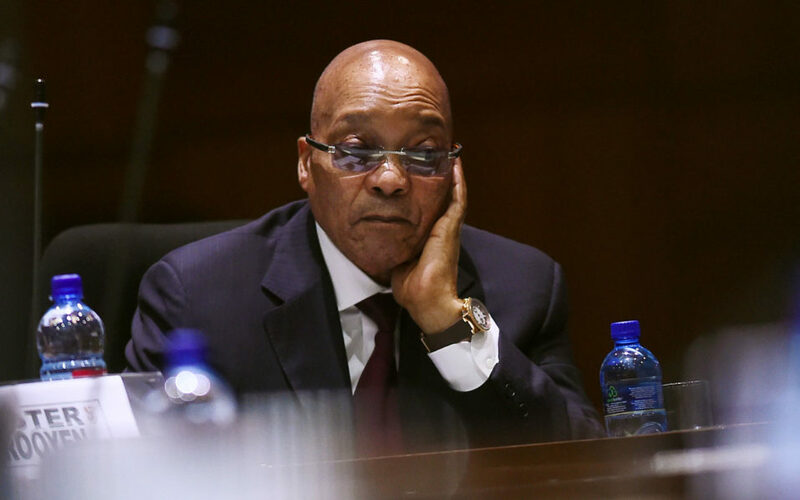 But the president’s party, the ANC, holds a commanding 62% majority, which has allowed Zuma to see off two no-confidence motions in the past year. However, recent intra-party turmoil caused by a controversial cabinet reshuffle last month may push some ANC lawmakers to abstain in a third Zuma-challenge, possibly giving opposition groups the edge. The president’s allies remain defiant. Last week, ANC Secretary-General Gwede Mantashe declared no ANC lawmakers would vote against Zuma. But even if the motion fails, the opposition has committed to using its “last resort”: an application to the Constitutional Court to impeach or discipline the embattled president. While this may offer hope to disgruntled South Africans, the uncertainty has sent a shudder through the country’s financial markets.